This election season there seems to be increasing concern by citizens who wonder if their vote “really counts”. Tuesday, March 8th –is not only presidential primary day in Michigan, but the day the Michigan Court of Appeals hears oral arguments on a voting rights case from Rochester Hills. The Court will hear each side’s arguments and decide the impact and rights of Rochester Hills citizen’s vote to protect its public parks and cemeteries. November 8, 2011 – Rochester Hills voters overwhelmingly passed by 88% a measure to amend the City Charter to protect the City parks from being “sold, leased, transferred, exchanged or converted to another use unless approved by voters”. January 15, 2013 – The Rochester Hills Mayor signed an oil and gas lease for city owned parks and a cemetery without the lease having been presented for approval by voters in the City pursuant to the City Charter provision they had previously voted to enact. May 15, 2014 – The citizen group Don’t Drill The Hills filed legal action against the City of Rochester Hills for overstepping its authority by signing a lease for oil and gas exploration of the City-owned parks and cemetery properties without voter approval. May 19, 2014 – The City granted a new easement for an oil and gas pipeline to be moved in Bloomer Park, and the group added this violation to their complaint. The lawsuit contends that the lease violates the City’s Charter, Michigan statute, and is a violation of public trust. On Tuesday, March 8, the Michigan Court of Appeals will hear arguments to determine whether the people’s Charter amendment votes ‘counted’ and whether the residents have the right to sue to enforce the law that they passed, and to vote on future transfers of park property. 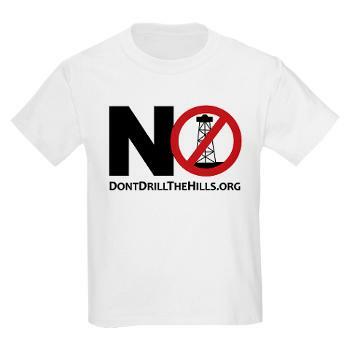 Don’t Drill The Hills, Inc. is a non-partisan grassroots nonprofit corporation that is building awareness of the risks of horizontal drilling in high-density residential and K-12 School areas. Concerns include: property rights, property values, mortgage and insurance complications, as well as potential environmental and health risks. Click here for more information on the lawsuit.